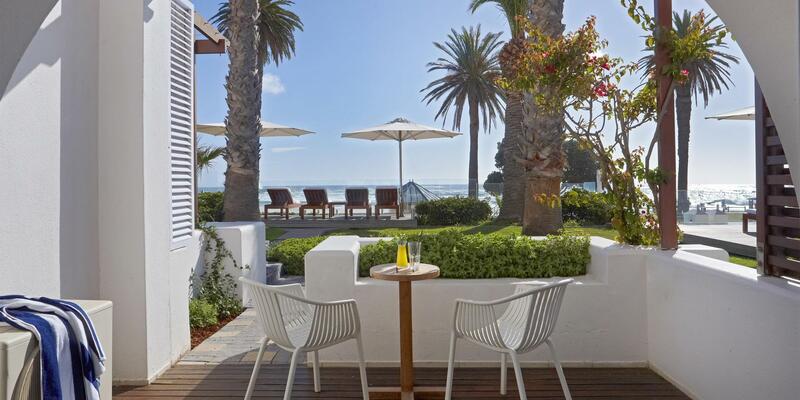 ﻿ The Bay Hotel Cape Town. JIMAT di Agoda.com! Ada soalan mengenai The Bay Hotel? Terletak pada kedudukan yang baik di kawasan siar-siar, pantai, restoran di bandar Cape Town, The Bay Hotel menyediakan tempat yang paling sesuai untuk anda berehat seketika dari kesibukan hari anda. Hanya 7. Km dari pusat bandar, lokasi strategik hotel memastikan tetamu boleh ke mana-mana sahaja dengan cepat dan mudah ke tempat-tempat tarikan. Penginapan ini berada di sekitar kawasan tarikan bandar yang popular seperti Theatre on the Bay, Gym on the Bay, Camps Bay Beach. Di The Bay Hotel, segala usaha dilakukan untuk membuatkan tetamu berasa selesa. Oleh yang demikian, penginapan ini menyediakan perkhidmatan dan kemudahan yang terbaik. Hotel ini menyediakan akses kepada pelbagai perkhidmatan yang luas, termasuklah khidmat bilik 24 jam, meja depan 24 jam, fasiliti tetamu kurang upaya, Wi-Fi di tempat awam, tempat letak kereta. Suasana The Bay Hotel terpancar di dalam setiap bilik tetamu. televisyen skrin rata, internet wayarles, internet wayarles (percuma), tab mandi pusaran air, bilik larangan merokok hanyalah sebahagian daripada kemudahan yang boleh didapati di hotel tersebut. Di samping itu, pihak hotel menawarkan aktiviti rekreasi untuk memastikan anda mempunyai perkara untuk dilakukan sepanjang penginapan anda. 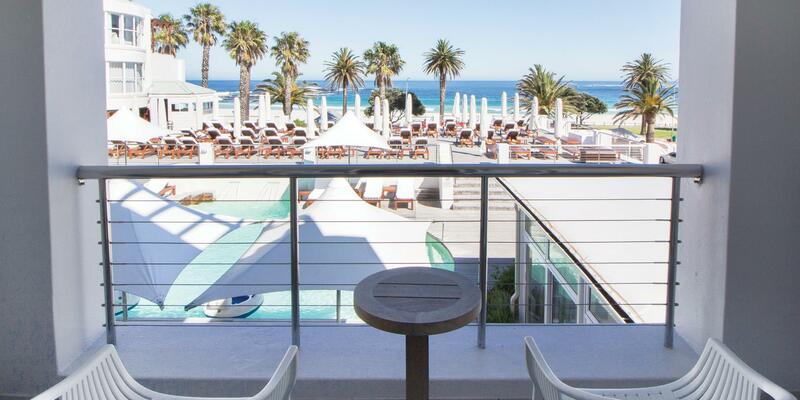 The Bay Hotel adalah destinasi sehenti anda bagi penginapan hotel berkualiti di Cape Town. 2nd time stay. Love it there. Great hotel in a beautiful location, the staff were very attentive and professional, the food was fabulous and the cleanliness is excellent. Caamil’s bar was lovely with a roaring fire for a nightcap. Overall it was a very special 12 night stay. The locals in their super tight kiddies t-shirts with their bulging, spray tanned bodies and their shaven forearms... its hilarious, but not in a good way. Housekeeping and cleaning of room and bathroom needs upgrading. Dirty glasses left in room, used facecloth, hair in bath and small papers not picked up off carpet. Ideal location, great amenities with an on site gym, pool, etc. Staff were all very welcoming, greeting all the time, and very attentive to all our needs, including our late night room service! Breakfast was great with a beautiful view over the beach and sea. Only drawback was housekeeping wasn't super. Some used glasses. left behind and room not 100% clean one day. Also no face and hand towels after the first day.... Otherwise no complaints at all. Definitely will be back. Our stay started badly with our name not being on the "list" so took a while to get into the parking. Eventually got to reception and the booking was found. As an apology we were upgraded to a sea facing room. Room itself was very nice and the views spectacular. Only negative was that the bathroom was very dated. Ordered a bottle of wine from room service but were told that as it is off season they only had 1 brand. Not the one we were looking for. Pressed them a little and they managed to find 1 additional brand that we eventually ordered. As we were enjoying the magnificent sunset we opted to order dinner in our room. Ordered a starter Calamari, starter Feta triangles, main sirloin steak and dessert chocolate brownie. Calamari and steak delivered first. Calamari was ice cold. Steak was like rubber. About 10 - 15 min later the remainder of the meal was delivered. Feta triangles very good but the brownie was so dry left it after 1 mouthful. Next morning went down for the breakfast. Both ordered omelettes. Probably the driest, tasteless omelettes we have ever had. Restaurant manager came past to ask how everything had been. We told him we were very disappointed by the food, both the previous evening and at breakfast. He was very responsive and returned about 10 minutes later with vouchers for R 300. Not the reason I complained. I would far rather have had good food than a voucher for food that I am not rushing to eat again. Generally a very disappointing stay at this hotel. 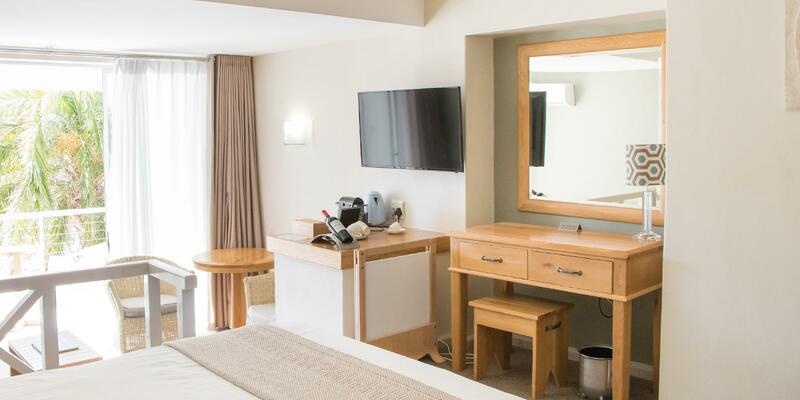 Everything about this hotel was perfect - amazing retro Miami vibe, beautiful decor, quiet at night, fantastic pool, and the most wonderful helpful staff in all of Cape Town. Everyone made me feel very welcome, and it was hip and trendy - like the retro-cool version of the W in Barcelona. I wish I could have stayed a month. I will definitely be back. 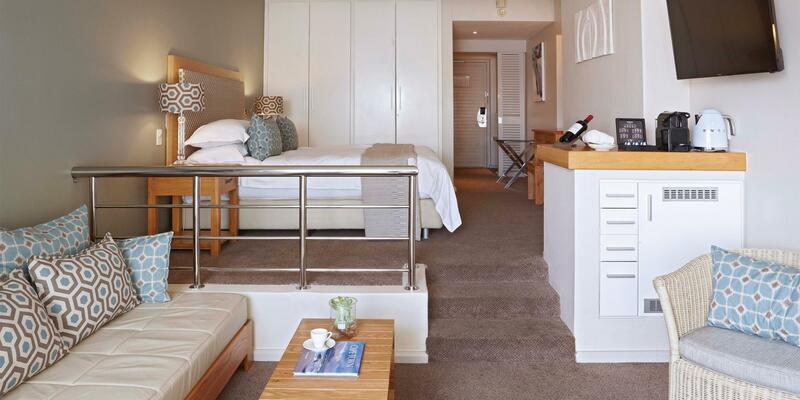 The Hotel is located opposite Camps Bay beach, which is perfect if you can tear yourself away from the poolside. The hotel has a great view overlooking the beach, and is conveniently located on the hop-on-hop-off sightseeing bus tour (red line) which stops just outside the hotel. My wife and I stayed here for our wedding anniversary and found staff very helpful in making our stay a romantic and memorable occassion by arranging champagne & flowers in our room when we returned from a day of sightseeing in the city, and making dinner arrangements at a fine restaurant in the city at a time when most restaurants are fully booked weeks or months in advance. Many thanks! This was our first visit to SA. We have traveled around the world and stayed in many hotels as well. The Bay Hotel has fantastic location just across from the beach. Yes, the water is cold but it was wonderful to be able to get a bike and ride it all the way to the V&A and take a taxi back. We went for morning and afternoon beach strolls. It is surrounded by some of the best restaurants in town. But their own menu is fantastic. We stayed three nights and had lunch there three times. We did reserve a Cabana Room #142 which we would do again. 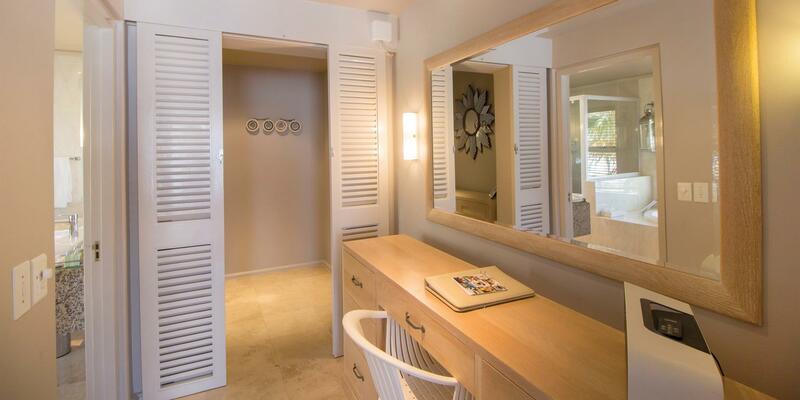 In fact I would recommend you stay at any of the cabanas numbered 140-142. Ours happened to be the end unit. Lunch by the caban's front deck was a 10. We also loved going to the Traders Cigar Lounge to close out the night. Thank you Ashraf, Papi, Andre and all the staff for making our Anniversary trip such a memorable experience. We had a very disappointing stay at the Bay Hotel, and despite receiving a full refund I still think it is important to rate them online. The hotel is dated, but you can forgive that for the fantastic location. We had no water our entire stay, and to make matters even worse, the staff at the hotel repeatedly tried to blame it on there being "no hot water in Camps Bay", not being ignorant I questioned them on this, and eventually they denied saying it, and admitted it was a maintenance issue on their side. At one point the receptionist claimed to be the general manager on the phone, before completely changing her story. It's bad enough if you have a maintenance issue, but to then lie to your guests about it to try make it look like a municipal issue, not your out of date infrastructure, is just unacceptable. Excellent location for camps bay. Very helpful staff loved the head chef rendition of 'let it be' on the piano in the lobby, very cool and a great memory from hotel. Relaxing and the holiday treatment from the pool staff. Always willing and ver friendly. Every thing let down by 1 room cleaner who did not replenish the tea and coffee nor did she clean the tea pot. Not nice to meet a tea pot,of yesterday's cold and congealed earl grey tea the next day! This was the by far one of the best top 3 hotels we ve every stayed and we have been travelling a lot. 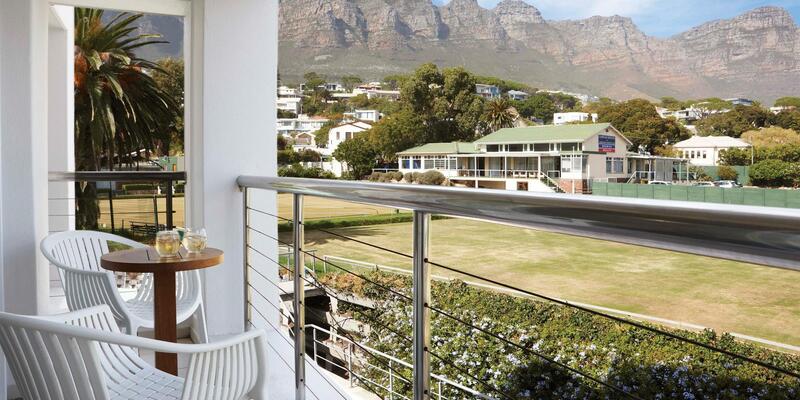 perfect location with having ocean view up front and table mountatin right back of the hotel. Staff are very capable , freinly , helpful. Food and coffee, breakfast buffet I loved as well and I absoulutely loved the interior of this hotel. I would def stay here again!!!! The rooms advertised by Agoda on their website were different form the rooms we stayed in. 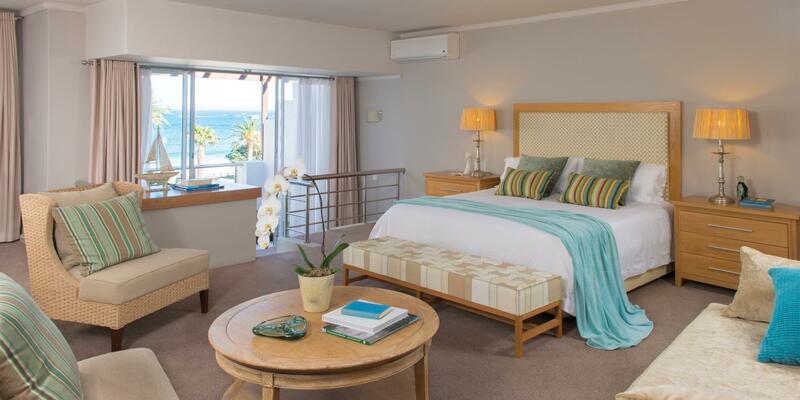 The pictures on the website creates an illusion that the rooms are bigger and has a bath/Jacuzzi that has an ocean view. We were disappointed upon arrival because we thought we would/should have received what was advertised. To make matter worse the bathroom basin was blocked. Can't believe how disappointing our stay was! The location is amazing and it pretty much ends there! The rooms need a make over especially the bathrooms which look a dirty as they are old and so out dated! We just seem to have one thing go wrong after another, from the check in process, they couldn't cut keys to open the door, big holes in the towels at the pool, served drinks in dirty glasses and the list goes on! We must mention that we got fantastic service at the Tapas bar on the street (connected to the hotel) which was truly the highlight of our stay! All in all, this is defiantly not a 5 star property and definitely wouldn't recommend it to anyone who travels extensively and stays in 5 star properties because you will be highly disappointed!